A Iniciativa da Sociedade Aberta para a África Ocidental (OSIWA) is a grant making and advocacy foundation that is part of the global Open Society Foundations Network. OSIWA works to support the creation of open societies in West Africa marked by functioning democracy, good governance, the rule of law, basic freedoms, and widespread civic participation. OSIWA supports innovative interventions with effective strategies that respond to the broader deep-seated political, justice and socio-economic roadblocks to open society in West Africa. We seek to seize new opportunities and deploy novel methods, including technology and the arts, to address open society challenges. 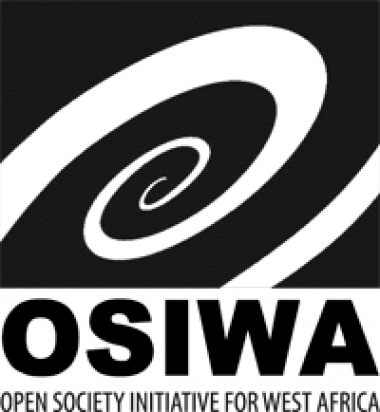 OSIWA primarily awards grants to local organizations based in West Africa. In rare and limited circumstances, OSIWA provides support to West Africa-based international organizations with a strong commitment to transferring knowledge to local groups they partner with. OSIWA grants also go to government institutions as well as regional and sub-regional organizations working in our core priority areas. OSIWA requires all organizations seeking funding to be legally incorporated in their countries of intervention and interested organizations must submit a completed application proposal, budget, and other relevant documents including governance and leadership information (list of Board members, trustees and management staff who will be involved in the project, and proof of registration). Os aplicativos que não são enviados com toda a documentação relevante podem ser atrasados. Proposals should be sent preferably online via formulário de inscrição on-line ou para: [Email protegido]. Proposals will be accepted until April 30th 2019. OSIWA encourages early submission of proposals and submitted proposals will be reviewed on a first-come, first-served basis. Proposals received after the due date will not be considered. In order to assess diversity and inclusion in our grant making, kindly indicate in the application if the proposal is focused on women, youth or persons living with disability. The time required to review a proposal varies according to the complexity of the proposal and OSIWA receives close to a thousand applications a year. It can take three to six months from the time a proposal is received to the date a final decision is made. If you do not hear from us within the timescale outlined above, please assume your application has been unsuccessful. Unfortunately, we are unable to provide feedback on your application or write to unsuccessful applicants.